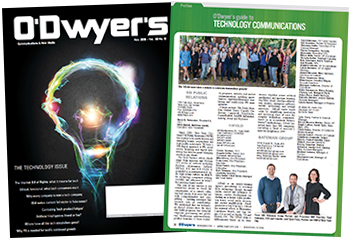 Our November issue features the latest technology public relations trends and a close look at agencies that specialize in tech PR. Since 2003, New York City-based 5W Public Relations (5WPR) has worked with widely known and emerging brands, corporations and high-profile individuals. We have a 360-degree approach to PR, social media, branding and digital marketing that delivers game-changing results to our clients. Our Tech Practice, whose clients range from unicorns and Fortune 50’s across all verticals including FinTech, eCommerce, AdTech, HRTech, B2C and B2B SAAS, is grounded in an entrepreneurial, agile, high-octane culture, an ideal fit for technology companies seeking visibility and relevance in today's fast growing digital world. The core of our success is our unmatched ability to distill the complexities of a client's offering and convey it in ways that are both comprehensible and compelling — creating messages that resonate with all stakeholders. We understand that the technology doesn't always drive the story and build programs that integrate corporate positioning and profiling, fundraising announcements, product launches, C-Suite visibility programs, industry and analyst communications, speaking opportunities, digital/performance marketing and issues/crisis PR management. Clients include: The Trade Desk, Zeta Global, Xaxis, Captify, Undertone, Lippincott, Storyblocks, CareerBuilder, JazzHR, Influential, Airhelp, Avant and Payoneer. The 10Fold team takes a minute to celebrate tremendous growth! 10Fold is an award-winning agency specializing in elevating B2B technology brands through media, analyst and influencer relations, content development (including an in-house video production team), social media services, and content amplification. Headquartered in San Francisco, 10Fold has regional offices in Pleasanton, Capistrano Beach, and San Diego, CA as well as Austin, TX and Denver, CO. The 10Fold team is differentiated based on its deep domain expertise across artificial intelligence and machine learning, Big Data, cloud, DevOps,information security, enterprise software, mobile, networking and storage industries. 10Fold builds brand value by amplifying innovation and increasing share of voice for complex technology companies. Based on an accountable Metrics Matter™ methodology, 10Fold has served more than 400 companies (including a “herd of unicorns”) since its inception in 1995. Elise Chambers, Mina Manchester, Candice Mayan, Account Directors. Kelsey Donahue, Hanna Johnson, Jordyn Lee, Quincy Zhai, Account Managers. Stephanie Leal, Manager of Operations. From left: Bateman Group Partner and President Bill Bourdon; Fred Bateman, CEO and Founder; and Tyler Perry, Partner and GM of New York City. Bateman Group is a content-led, data-driven PR agency focused on helping technology companies at every stage make a positive impact on the way we live and work. We believe crafting these stories requires a different way of thinking about PR and an exceptional team capable of delivering on its powerful possibilities. We’re distinguished by our people-first culture and progressive workplace policies, allowing us to maintain one of the highest employee retention averages in the industry — 90 percent on average since inception. Bateman Group has a very well-defined, distinctive company culture. 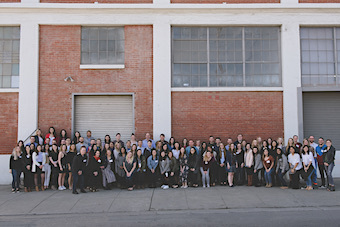 The agency’s motto is “Invest in Team First” — in other words, to deliver exceptional client service and award-winning work, the agency first must invest in its people. 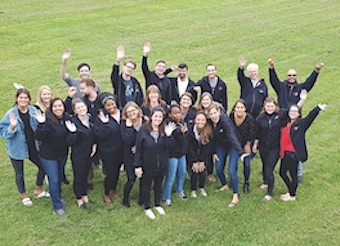 While fast growth often comes at the cost of employee turnover, Bateman Group has grown an average of 33 percent for the last three years with an average employee retention rate of 90 percent — among the highest in the industry. Client Roster: Anthemis Group, Armis, Betterment, BIG Labs, BMC Software, Breather, Chronicle, Currencycloud, D2L, Dialpad, DigitalOcean, Factual, Ginkgo Bioworks, Google, Google Advanced Protection, HackerRank, Harness, iGEM, Invoca, Kabbage, League, LinkedIn Marketing Solutions, LinkedIn Sales Solutions, MongoDB, Narvar, Netskope, Optimizely, Optimove, Ping Identity, Portworx, PredictHQ, Qubole, Rainforest, Recorded Future, Scale Venture Partners, Scalyr, Segment, Semmle, Service Channel, Shape Security, SkyRyse, SnapLogic, Synthego, Tenable, ThoughtSpot, Tradeshift, Ultimate Software, United Technologies, Unusual Ventures, Urban Airship, Virtustream and Waystar. Since 2015, BerlinRosen’s technology and innovation practice has expanded to represent some of the biggest newsmakers defining the future of technology, finance, work, education and urban innovation. 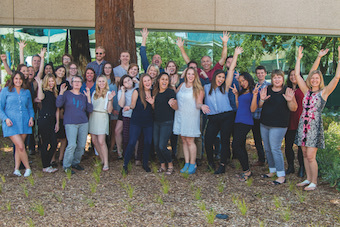 With a team of nearly 20 communications professionals, our consumer and enterprise client portfolio includes leading global brands Samsung, Alphabet’s Sidewalk Labs, Intersection and Citi, mission-driven organizations General Assembly and Per Scholas, brand new startups and incubators Kindur and URBAN-X and dozens of others. Drawing from our political and advocacy roots, BerlinRosen brings a unique campaign-style approach to strategic communications and public relations for clients in the technology space, combining nimble expert strategy and execution with the creativity, agility and speed of a startup. • High-impact media relations across all major technology markets in the U.S.
Our recent technology clients include: Samsung, Citi, Alphabet’s Sidewalk Labs, Lyft, CornellTech, Barnard College, Intersection, General Assembly, Per Scholas, Pursuit, Kindur, EVgo, Convene, URBAN-X, Motivate, Storyful, Coord and Eaze. Locations in San Francisco, LA, Orange County, Chicago and the Washington, D.C. area. Bospar’s team of professionals are where you need them: San Francisco, Los Angeles, New York, Chicago, Washington, D.C., and San Diego. Hey — can we talk to you for a second? Yeah — you — the person reading these descriptions. Is it us or does this copy all seem the same? We bet nearly every agency description says “we’re award winning” and “tech blah, blah, blah” and you’re left wondering: who do I pick? Here’s our advice: pick an agency that is the right size to care about you passionately with the right team to get it done. We of course think that’s us! Bospar was named PRWeek’s Outstanding Boutique agency, because we offer the best of big and small. Like a big agency, Bospar has seasoned professionals across the country, based in San Francisco, Los Angeles, Chicago, Orange County, New York, and Washington, D.C. Its content department provides blog posts, case studies, ghost-written articles, messaging, positioning, press releases, social media content, website copy, infographics, research projects and videos. But like a boutique, you will get attention from the most senior staff and a team of people who have worked together for years. Bospar’s staff includes journalists who know how to reverse-engineer media coverage from a client’s needs and provide intensive media training with an insider’s perspective. Bospar supports its media efforts with analyst and influencer relations, customer and third-party relations, case histories and speaking and awards programs. The agency’s specialty is driving coverage from the likes of ABC to the Wall Street Journal. Tech firms in the Heartland turn to the Bradford Group for public relations services. We understand the unique challenges faced by non-coastal tech firms — such as being taken seriously by national technology and business journalists and having access to “smart” capital that understands and supports technology business models. We specialize in translating between old and new worldviews and drawing national attention to technological advances from often-ignored parts of the country. Our tech industry expertise spans bio-technology, healthcare technology, legal technology, fintech, artificial intelligence, eCommerce tools, analytics, encryption tools and more. For these clients we provide a wide range of public relations and marketing services, including publicity, thought leadership, content creation, SEO, social media, inbound marketing and more. To get the attention your tech business deserves, get the Bradford Group. Catapult PR blends strategy, industry knowledge, execution and strategic narrative building to help B-2-B technology companies drive market-leading positions. Catapult’s formalized approach incorporates its proven Strategic Narrative Marketing framework, combines positioning and messaging, aggressive media and industry analyst relations, social media and content marketing into a comprehensive strategy designed to help companies become true market leaders. Its Strategic Narrative Marketing process begins with a full-day workshop, and provides tech firms with the tools to define and own new or existing market categories. The firm is expert at coordinating and executing high-impact company/product launches. Catapult has deep knowledge in all major vertical markets, including extensive experience in application development, cloud, big data, commercial wireless and enterprise platforms that disrupt market norms. Catapult’s success stems from its personal and professional service, along with partner-level account involvement and strategy. It is the preferred agency for technology companies looking for both strategy and execution. As a leading East Coast technology agency, Crenshaw Communications is expert at identifying what differentiates a technology brand and translating attributes into compelling benefits worthy of public attention. We offer in-depth experience in consumer and business technology products and services; adtech and marketing technology; cybersecurity; retail and ecommerce; digital and mobile services; digital content/media/publishing; not-for-profits and wearable tech/therapeutics. In addition we have a particular expertise in early-stage businesses at the intersection of the arts, design, and technology. Successful client programs include those for both established and emerging brands and companies, including Acceleration Partners, Adthena, Amagi, Arkadium, AOL Platforms (now OATH), Bizzabo, ChargeItSpot, DoubleVerify, Fractal Analytics, F-Secure, Greenhouse Software, Infosecurity North America, Lotame, MediaRadar, NHP Foundation, Remedy Health Media, Smart Communications, Syncron, Uberall and Weekly Tasting/WTSO. com. Founded in 2009, Dale Curtis Communications helps companies and causes advance their public affairs agendas through strategic, integrated communications in Washington, DC and beyond. DCC provides public affairs-oriented PR and content services to a variety of clients in sectors including technology, telecommunications, public safety, education and training, and nonprofits. Each client benefits from a customized, integrated strategy and action plan. Our team offers decades of experience in senior positions in Congress, the White House, Executive Branch, local government, business, nonprofits, and the media. Specialties include strategic counsel and planning, messaging and content, news media relations, digital media, graphic design, video, and events. We also maintain a network of adjunct professionals in a variety of disciplines who can be activated as needed. Clients have included IPC-The Electronics Association; BSA-The Software Alliance; the High-Tech Digital TV Coalition; InterDigital; LyondellBasell; NASSCOM; NENA-The 9-1-1 Association; SAP America; SAP National Security Services; and the Wireless Internet Service Providers Association (WISPA). Fahlgren Mortine is one of the nation’s largest marketing and communications agencies, ranking #12 on O’Dwyer’s list of U.S. PR firms. Through industry-leading integration and a pledge to “think wider,” the agency skillfully blends the authenticity of a public relations firm, the creativity of an advertising agency and the accountability of a digital shop to innovate, influence and achieve as one agency for an enviable portfolio of technology and B2B clients. Our buyer-centric approach delivers impact-centered campaigns through a deep understanding of our clients and their customers, and the triggers that cause the need for client products and services. From building awareness with thought leadership, media relations and advertising to nurturing relationships via marketing automation, Fahlgren Mortine delivers the full range of services required for success in today’s multi-channel world, including branding, public and analyst relations, media planning and buying, content marketing, social media strategy and management, advertising and digital development. At CES 2018, the Feintuch team ran a press conference and worked the booth with long-term client HDMI Licensing Administrator. 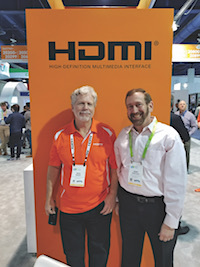 Pictured are (L to R) HDMI’s Marketing Director Brad Bramy and Henry Feintuch. Feintuch Communications = Tech PR. We’ve been doing it for decades and all with an eye towards delivering business results. Our senior-led team helps start-ups, rapidly growing firms and established enterprises to have conversations with marketplace influencers, customers and prospects about their products, services and corporate values. We do that with journalistic sensibilities and solid business experience. Preparing to launch a breakthrough ad technology? Planning the introduction of advanced technologies for e-commerce? Looking to get industry analyst feedback on an enterprise mobile app? Or explain to shareholders or prospective investors why a security technology, biotech development, retail tech enhancement or fintech algorithm may impact the market or change the world? Is your new green technology gearing up to challenge the status quo? Are you aiming to expand your marketing to a global stage? We thrive on helping organizations to address their business communications challenges and position themselves to succeed in the marketplace. Our programs are designed to deliver business ROI, not just press clippings and status reports. We welcome the opportunity to partner with you to grow your business. The Finn Partners team at a retreat in Hunter, NY. With more than 130 professionals across three continents, Finn Partners is the third largest technology agency in the world. Under the leadership of Jodi Brooks, the new head of its technology division, the firm enjoys strong global growth and thrives as the agency’s largest practice area. Our talented mix of researchers, strategists, storytellers, content specialists and media relations experts, has the ability to grasp the technology landscape and deliver data-driven business impact for technology giants seeking to stay relevant, emerging start-ups seeking to establish their market position and non-technology companies seeking to innovate in their industries. Navigating this ecosystem requires data-driven understanding of the decision maker, experience on guiding companies to pivot from point A to point B, and deep industry knowledge. Our expertise spans across cybersecurity, marketing/ad tech, supply chain, enterprise tech, consumer tech, health tech, and emerging trends from blockchain to artificial intelligence and machine learning. FleishmanHillard’s technology communications specialists work alongside experts in every business sector and communications practice, to bring fresh thinking to clients that are being impacted by, or creating, technological shifts, whatever their industries and line of business. Today, there is a growing need for companies in every sector to position themselves as innovative and digitally driven to survive and thrive. From inspiring non-tech clients to tell their stories at the Consumer Electronics Show (CES), to helping brands boldly reposition their companies as software and innovation leaders, the agency’s deep experience is helping spur new ideas and thinking in tech and non-tech companies alike. Using data-driven insights, strategic measurement and our deep knowledge of today’s most effective communications channels, FleishmanHillard’s tech experts bring sector expertise to bear across a wide range of industries: from consumer electronics to cloud computing, e-commerce to security, and telecoms to wearables. We innovate to create the best outcomes and solutions for our clients; doing more of what matters and what’s right for their business, their audiences, and the world in which they operate. If you’d like to learn more, please contact Sophie Scott, Global Managing Director, Technology: Sophie.Scott@fleishman.com. Greenough teammates collaborate on strategies for success in the tech marketplace. It’s about what customers can do with technology, not the feeds and speeds. For two decades since our founding, Greenough has pioneered brand storytelling that leads with the what and why for enterprise solutions, mobile applications, IT security and robotics. Whether it’s a decision-maker within an enterprise considering technology for marketing analytics, HR or financial operations or a consumer choosing a device, it’s always the story that drives the action. We’ve perfected brand journalism to deliver compelling stories across earned, owned and paid channels. As designated reporters for your brand, we bring stories to life that strongly resonate with your target tech buyer because we eschew the hype and hone in on what’s relevant to buyers. Our brand journalism “reporting” uncovers standalone stories and perspectives that are routinely featured in CIO, TechTarget, VentureBeat and other technology trades as well as vertical outlets. Our continuous vetting of “sources” identifies and prepares experts who can regularly comment on technology stories across business media, from national outlets such as the New York Times and the Wall Street Journal to local news outlets and hyperlocal media. Our campaigns target earned, owned and paid media simultaneously, delivering your unique technology value proposition, often tailored to unique vertical markets. From thought leadership through contributed articles to “newsjacking” our clients into breaking feature stories, we ensure that your brand stories are well-told across relevant channels and help drive marketing qualified leads and new sales. Established in 2008, Highwire PR is a tech communications agency built on the promise of delivering creative, results-oriented communications programs for companies ranging from Fortune-50 corporations to mid-size tech leaders and innovative startups. Our team, which now includes Inner Circle Labs, is composed of veteran communicators and former journalists with technology industry knowledge spanning enterprise, consumer, digital health, financial technology and security across offices in San Francisco, Chicago, New York and Boston. 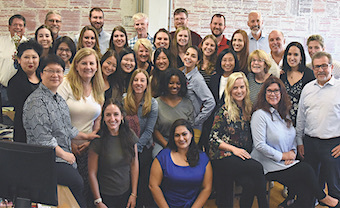 Having recently completed our 10th year, Highwire’s mission has persevered: to deliver creative, results-oriented PR programs and establish a nurturing environment for individuals to grow their careers. To partner with a company, we must have a passion for the business, relevant experience in the market, and excitement for the story. We build on this strong foundation by involving senior level PR experts in everything from strategy to tactical implementation. Defining communications broadly to include digital, content marketing, thought leadership as well as traditional PR, The Hoffman Agency knows how to differentiate brands and deliver air cover for sales. With a heritage in the tech sector, the firm’s work today cuts across a range of B2B and consumer markets. For clients with global needs, the company operates its own offices in Asia Pacific, Europe and the United States. Unlike traditional agencies handicapped by their silo structure, we apply a collaborative approach to implementing multi-country campaigns. This leverage of content and thinking across geographies ultimately generates better results. And we can do this with a single-point-contact for clients. While campaigns vary by client and industry, all share one theme: the creation of content that reflects the tenets of storytelling. This means developing narratives that prompt journalists to write and target audiences to read — a far cry from the “corporate speak” that satisfies internal stakeholders. 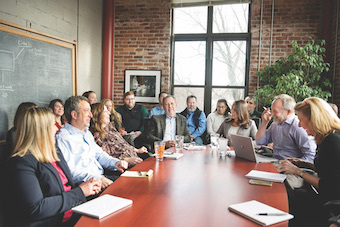 Toward this end, the firm also conducts storytelling workshops. Even on the operations side, The Hoffman Agency walks to a different drummer. Eschewing the traditional focus on the financial side — measuring account people based on their “billability” — the firm adheres to the belief that if you deliver great work to the client, financial performance will follow. Hotwire, the global communications agency, helps CMOs better engage and connect with their customers. From Sydney to San Francisco, we operate with a borderless mind-set across 22?locations including the UK, US, France, Germany, Spain, Italy and Australia, together with co-branded partners Yellow Communications in the Netherlands and Belgium, Active DMC in the Middle East and VIANEWS in Brazil, as well as other affiliate partners. ICR provides strategic communications and advisory services that help companies drive business goals, bolster credibility and enhance long-term enterprise value. ICR, comprised of former Wall Street veterans and seasoned communications experts, brings a unique POV that helps technology companies build carefully articulated positioning and competitive advantages around their ideas, concepts and stories. The team delivers results for clients across a range of sectors, including Artificial Intelligence, Automotive Technology and Ecommerce, Fintech, Data/Analytics, and IoT. Marrying a deep understanding of technology, capital markets, business and financial media, ICR provides a compelling value proposition for companies at various life stages, including startups seeking to raise additional capital, growth companies with IPOs on the horizon, organizations investing in M&A, businesses transforming to meet customer and market demands, and public entities looking to better tell their stories. ICR maintains offices in Boston, Connecticut, New York, San Francisco, and Beijing. Clients: Autogravity, Cardlytics, Comdata, FLEETCOR Technologies, Forter, HARMAN International (subsidiary of Samsung Electronics), Mobileye (an Intel Company), MongoDB, ORSAM, Shopkeep and TechStyle. 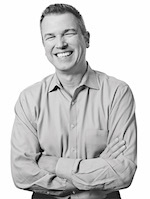 Idea Grove Founder & CEO Scott Baradell. 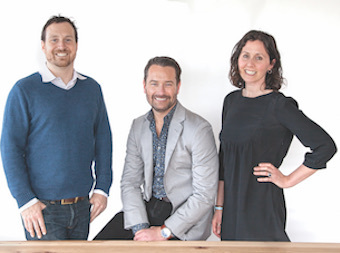 A Dallas-based PR and marketing firm with a national roster of B2B tech clients, Idea Grove specializes in developing research-driven, precision-crafted campaigns that breathe life into your brand’s story and bring purpose, focus and ROI to your brand visibility and lead-generation efforts. Idea Grove takes the time to understand your business, your competition and your buyers. We use this foundation to create PR campaigns that generate buzz, websites that attract eyeballs, and marketing programs that deliver ROI. We have experience in industries ranging from hyper-converged infrastructure to marketing technology, smart speakers to 3D printing, VoIP to IoT. This expertise has enabled us to develop a specialized offering that spans all of the things we do. We develop buyer personas specifically crafted for technology purchasers. Our PR strategies encompass analyst relations, channel programs and thought leadership. And our digital marketing strategies center on creating compelling, data-driven content that prospects just can’t resist. InkHouse is a PR firm that offers earned media, creative content and digital marketing. We were founded in 2007 and are one of the fastest growing agencies in the country. We believe that authenticity matters, words count and trust is earned. We’re creative storytellers and marketers who believe successful PR goes far beyond traditional media relations. We design integrated PR programs that weave together earned media, creative content and digital marketing elements designed to support your business goals. We tell stories powerful enough to forge relationships in the digital world and extend them into real life. We partner with global brands, Fortune 100 enterprises, venture capital firms, and technology companies at any stage of their lifecycle. With offices in Boston, New York and San Francisco, InkHouse is well-positioned to serve both national and international clients looking for dynamic, thoughtful integrated communications campaigns. Client shortlist: Citi Ventures, Eaze, Grammarly, Molekule, Nutanix, Okta, Raytheon, Wolters Kluwer, TransferWise, General Catalyst, Carbon Black, Acacia Communications and Bloom. 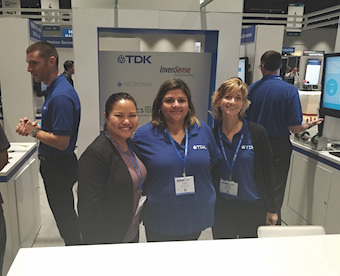 Karbo employee Kim Lianthamani at a trade show with client TDK. Karbo Communications is a top ranked technology PR and digital marketing agency that delivers sales and market leadership. With Karbo Com, you don’t get bench players. You get the industry’s top marketing and PR teams working with you every day, whether it’s developing positioning, placing your company in top media, growing an active social media base, creating viral videos or writing influential content. We’ve ushered in clients across technology areas and industries, such as cloud/SaaS, mobile, the IIoT/IoT, social, data, analytics, apps, advertising tech, security, high performance computing, AI, blockchain, augmented reality and communications. The Karbo Com team has worked extensively with both B2B and consumer tech companies, including Apple, eBay Advertising, the IoT World Conference, Equinix, Cisco, Defense.Net, NerdWallet, GoDaddy, Fox Digital apps, Digg, Oracle and Intel. Our clients range from stealth startups to billion-dollar global brands. When it’s make or break, you want the best. You want a team that’s seen it all, yet knows the latest and greatest trends, technologies and tools. At Karbo Com, we have a track record of delivering revenues, industry-leading stature, partners and funding. Clients: 8th Wall, Logitech, OnScale, Penguin Computing, Pigeon, Pycom, RTI (Real-Time Innovations), TDK, TicketSocket, TIBCO. We are an integrated marketing and communications agency with a profoundly diverse history of crafting communications programs with conviction for consumer brands, B2B technology companies and many organizations-in-between. Communications today encompasses an incredible variety of services, from strategy development and traditional media relations, to social media and content marketing efforts, and as a fully integrated agency, we are prepared to help our clients with it all. Our tenacious approach is derived from more than three decades of experience working with startups and industry leaders. As the Silicon Valley partner of the Worldcom Public Relations Group, we’ve been able to develop and deliver highly effective global communications programs for numerous clients via our 100+ offices worldwide. Merritt Group lives at the intersection of market expertise and technical proficiency to help our clients reach their goals and dominate their markets. Our client roster includes organizations ranging from large, industry-leading enterprises to emerging, venture-backed innovators. Our philosophy starts with understanding our clients’ target audiences and markets, and leads to the development of powerful messages and creative programs that drive awareness around their innovations. We pride ourselves on delivering insightful, strategic communications approaches that help the world’s most inspiring companies get people talking and keep their audiences engaged. Clients: Varonis, IOActive, Cylance, Mocana, PAS Global, Authentic8, CalAmp, GoodData, Northern Virginia Technology Council, Medallia, Telos, Monster Federal, MAXIMUS and Octo Consulting. Padilla is an independently operated, globally resourced public relations and communication company with offices across the United States. The agency builds, grows and protects brands and reputations worldwide by creating purposeful connections with the people who matter most through public relations, advertising, digital and social marketing, investor relations and brand strategy. Padilla includes the brand consultancy of Joe Smith, the food and nutrition experts at FoodMinds, and the research authorities at SMS Research Advisors. Padilla’s Technology Practice helps complex B2B technology brands reach and influence prospective buyers and customers, partners, investors and employees through targeted, compelling brand stories. Clients include enterprise hardware, software and services, cloud, IoT, big data/analytics, mobility, blockchain, networking and security, engineering and materials science organizations. Padilla’s Technology team consists of experts helping tech companies sell into verticals such as retail, hospitality and CX, health care, education, finance, marketing and HR, industrial manufacturing, supply chain and transportation. Technology clients include 3M, Element Fleet Management, Protolabs, Rockwell Automation and Tata Consultancy. Padilla is an AVENIR GLOBAL company and a founding member of the Worldcom Public Relations Group, a partnership of 132 independently owned partner offices in 115 cities on six continents. 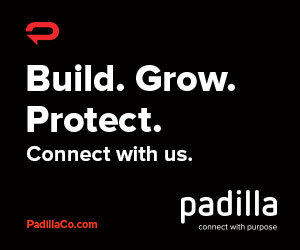 Connect with purpose at PadillaCo.com. PAN Communications is a data-driven integrated marketing & PR agency servicing B2B technology and healthcare brands. With offices in Boston, San Francisco, New York and Orlando, we move ideas by creating compelling stories, driving intent and influencing markets across all forms of media. We currently work with several leading and emerging brands nationally and globally including SAP, Radial, MediaMath, Cogito, Sift Science, Maestro Health and UpWell, to name a few. With a staff of 140+ professionals, PAN offers the agility and personalized service of a mid-size agency while leveraging national and international relationships to manage large scale communications programs. An award-winning firm experiencing impressive growth, we thrive to help today’s modern marketers by integrating a combination of services to better engage with your audiences and move markets. Connected Content — Creative Storytelling — Results that Matter! 470 Park Ave. South, 4th Floor N.
Peppercomm is an award-winning strategic, integrated communications and marketing agency headquartered in New York City with offices in San Francisco and London. The firm connects brands, messages and people through data-driven insights, cross-channel communications and brilliant customer experience. Employing an omni-channel approach, the company uses customer insights to determine the right mix of tools and platforms to help clients reach, engage and influence customers along their path to purchase. 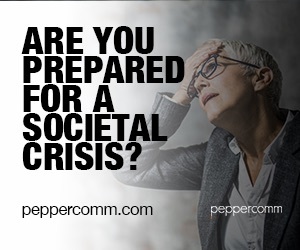 Founded in 1995, Peppercomm has received numerous accolades, including The Holmes Report’s North American Corporate/B2B Agency of the Year and Bulldog Reporter’s Midsized Agency of the Year. The agency has been listed as one of Fortune’s 10 Best Workplaces in Advertising and Marketing, 100 Best Workplaces for Women, 50 Best Small and Medium Workplaces and 50 Best Workplaces for New College Grads. Services include Branding, Content Strategy & Development, Creative Services, Crisis Management, Digital Solutions, Experiential, Insights & Strategy, Licensing, Public Relations & Social Media and Research & Measurement. 53 State St., 4th flr. Founded in 2003, Racepoint is a global communications company with technology thinking woven into its DNA. The agency uniquely understands how the use and “humanization” of technology impacts how audiences perceive and experience brands today. Whether an emerging company or enterprise brand, clients in the technology, healthcare, consumer, professional services and public affairs sectors partner with Racepoint for its strategic, earned-first approach to engaging constituents in a way that is both authentic to the brand and meaningful to the audience. At a time when customer experience expectations have never been higher, Racepoint creates technology-driven communications strategies that help earn attention and move brands and businesses forward. 70 Franklin St., 3rd flr. Rasky Partners is a nationally recognized public and government relations firm with nearly three decades of experience providing exceptional client service to technology companies that operate at the intersection of business, politics and media. 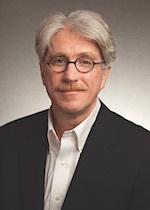 With offices in Boston and Washington, D.C., Rasky Partners offers a comprehensive range of services including media strategy and public relations, government relations, reputation management, crisis communication and digital media to tech clients looking to launch new technologies, grow market share and manage the considerable regulatory challenges they encounter along the way. As an independent firm, Rasky Partners has the flexibility and resources to address complex communications challenges with a commitment to serve our clients’ interests first. We are dedicated to providing consistent, strategic hands-on engagement at all levels, as each client team — including the senior professionals — is highly engaged, from the beginning to the end of each client engagement. Swyft is an agile marketing and PR agency that embraces the lean startup model in everything it does. Headquartered in Austin with offices in Denver, Houston, and Antwerp, our client focus is exclusively on the B2B technology sector. We combine creativity, tech industry expertise, and great storytelling to help our clients achieve their most important marketing goals. Where we shine is at boosting struggling brands, accelerating startup launches, and perfecting enterprise corporate growth strategies. At Swyft, we see our work as helping our clients take the calculated creative risks necessary to grow. We work with our customers to create disruptive strategies that cut through the noise and win market share. We are committed to quality and measurable value. Over the years, we have worked in multiple technology verticals, including Fintech, IoT, Cloud, 3-D software, security, eCommerce, mobile-social, MedTech, and enterprise productivity apps. Every client is different, but our goal for each and every one is to exceed their expectations. Although our roots are in Austin, we work globally with a little help from our friends as proud members of two international agency networks: First PR Alliance and The Global Fintech PR Network. First PR Alliance is the network of partner agencies we founded in 2016 and manage to this day. Through this network, we are connected with other independent marketing and PR agencies in Europe, Asia, and South America to provide a seamless level of account service for growing global brands. The Global Fintech PR Network is a network which we helped co-found in 2016. It is the world’s first network of agencies that serve the specialized needs of the Fintech industry. The international networks in which we participate are vital to our clients seeking assistance with global growth across time zones, borders, languages and cultures. We are your growth partners and the team behind yours. Our goal is to create meaningful relationships with established businesses to provide creative solutions that respond to a fast-changing market. We won’t consider anything a “win” unless you do. We bring expertise in a variety of marketing and PR disciplines, including media and analyst relations, web design and development, content asset creation, inbound marketing, video production, PPC, and more. We bring all of that experience and skill with a healthy dash of creativity in a lean agency model that delivers amazing results for our clients. As Atlanta continues to establish itself as one of the country’s startup hotbeds, Trevelino/Keller continues to leverage its depth with startups and its strategic partnerships with organizations such as Atlanta Tech Village, Atlanta Tech Angels, TechAlpharetta, Raise Forum and Keiretsu Forum. Not limited by geography, its startup, middle market and national technology clients can be found across the country. Trevelino/Keller’s long-standing pedigree in technology continues to be its economic engine. It’s powered in part by its cross fertilization across its six other practices, yielding a powerful vertical prowess in areas such as Fin-Tech, Consumer-Tech, Clean- Tech, Food-Tech, Fashion-Tech and more recently Ag-Tech. Highlights include representing the AgTech Conference of the South and Fintech South this past year. While it’s four areas of service — public relations, digital/social marketing, demand generation and creative services, align with what it believes are the most relevant services today, new markets of focus are gaining increased traction — Disruptive Forces, Category Pioneers, Stealth Leaders and Wonder Women. For companies whose leadership aligns with one of these markets of focus, the agency demonstrates a unique understanding of the company’s personality and mission that’s increasing its ability to close and grow business. In its 2017 repositioning, the firm introduced its Outcome-Driven position with emphasis on four strategic outcomes — Growth, Value, Engagement and Leadership. Each outcome features its own path of customized programming. Rounding out the firm’s capabilities is its Groovy Studios brand, made up of in-house specialists that deliver graphic design and dynamic content. Our role as communicators and storytellers in the technology sector used to be straightforward: educate the world about why technology is important. But that world changed. Technology is now pervasive in every facet of our lives and deep in every industry. The communications challenge is no longer to explain how technology works, or even why it’s relevant —but rather to manage the impact of innovation, in all its various forms, in all its various engagements. That requires a dynamic team of the best experts from media, analytics, strategy and creative to engage audiences with communications that drive value. It requires teams who understand today’s unique environment, from Silicon Valley to London, from Singapore to Sydney, and everywhere in between. Weber Shandwick’s Global Technology practice is uniquely qualified to deliver this kind of value because we see the whole picture. We start with the problems our clients want to solve and apply a strategic rigor to position for long-term success. We deeply understand the shift from publishers to platforms and how this affects what content your customers see. We see the link between storytelling and how to drive action from your most trusted audiences. And we know the value of data and analytics to the lifecycle of every campaign, from inception to conclusion. Companies embracing this era of change — from automotive to fintech to healthcare — see Weber Shandwick as a critical partner to navigating it. Celebrating its 10th anniversary, Weiss PR, Inc. helps companies and non-profit /trade associations to reach, engage, and influence the right audiences in order to achieve their communications and business objectives. Staffing accounts exclusively with senior-level executives who have a minimum of 10 years of public relations experience, Weiss PR has developed a strong reputation for getting positive results for its clients by using an integrated approach to communications that typically includes media and influencer relations, social media and marketing services, and issues management — all anchored by strategic communications planning. The firm also has extensive experience in crisis communications, including strategy development and rapid response implementation for both corporations and individual executives. While Weiss PR’s two dozen plus clients are spread across five industries in the U.S. and abroad, much of its work is concentrated in the technology space. The firm has extensive experience working with data centers; encryption and information security firms; serious gaming/simulation companies; software and applications developers; and wireless. It has also handled public relations for two award-winning technology incubators. 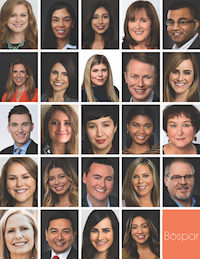 In spite of its rapid growth, Weiss PR has stayed true to its vision to provide clients with ideas built on strategy — not egos — from a team of senior public relations professionals who are committed to providing exceptional service, great work, and measurable results.